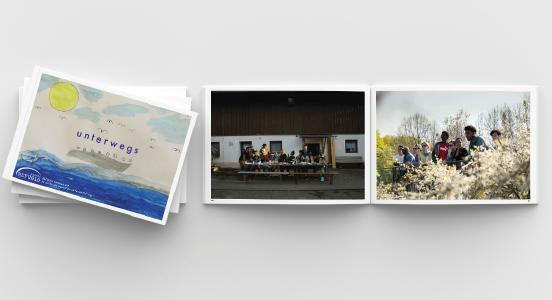 The art workshop of Refugio exhibits pictures from refugee children about being on the move and has issued an accompanying exhibition catalogue. Margit Papamokos, who founded the art workshop 25 years ago, emphasises the importance of artistic expression: "Art is a very effective means to communicate with children and adolescents who fled their home, non-verbally at first allowing language barriers to be overcome." In the next step, they talk about the pictures which promotes language. Throughout the artistic process, the children have an experienced art therapist of the association at their side. The online print shop has been supporting Refugio for several years now. "Onlineprinters employs people from more than 20 nations including refugees. Refugio makes an important contribution to integrating them. And companies such as ours benefit from these efforts as well," points out Michael Fries, the CEO of Onlineprinters. Back in November, Onlineprinters signed a resolution calling for politicians to step up their efforts to integrate refugees. The adhesive bound exhibition catalogue has 76 pages. 800 copies were printed on FSC certified paper. It can be requested via press@onlineprinter.com free of charge. The greenhouses gases generated during production were compensated for within the scope of our carbon neutral printing programme. 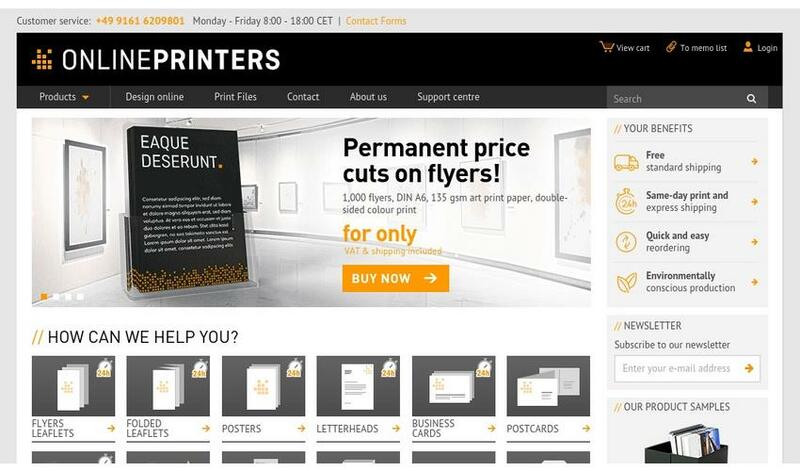 The Onlineprinters group is one of Europe's leading online printers. The company employs a staff of more than 1,400 and produced 3 billion+ printed advertising products last year. More than 1,500 print products including business cards, letterheads, flyers, catalogues, brochures, large-format advertising systems and more are sold to a million customers in 30 European countries through 18 web shops. British market leader Solopress and LaserTryk, the Scandinavian number one, are members of the Onlineprinters Group.